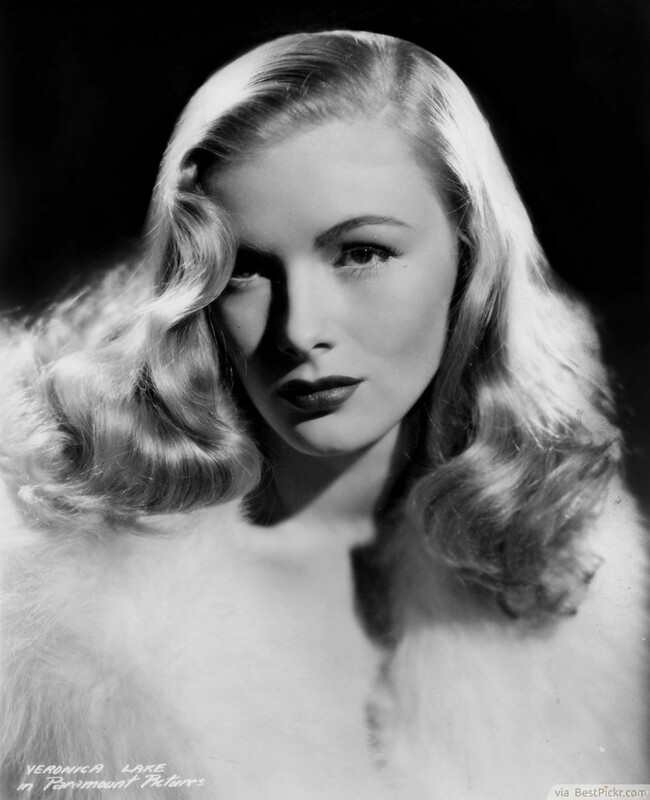 Veronica Lake’s alluring 1940′s hairstyles for long hair were just as glamorous today as they were then. It’s a hairdo that rebelled against the perfectly coifed and curled looks of the time. This hairstyle that works great on thick naturally wavy hair. Part it deeply to the side and let it drape over one eye to reach the height of glamour.